Birthday parties are so much fun when you are a kid. Birthday dress, birthday cake and lots of gifts and blessings make it the most awaited day for every child. To make it super special for your prince, we have some of the best baby boy party wear dresses lined below. 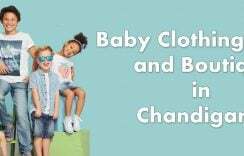 With these modish boys formal wear and adorable boys first birthday outfits, you can dress them up in fabulous kids party dresses for the season!!! 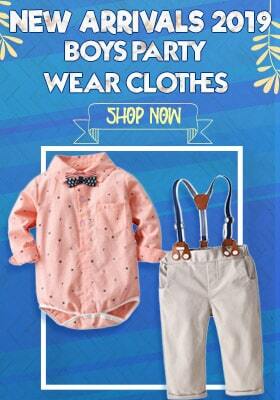 Let them shine bright on these special occasions with finest baby boy party wear clothes. 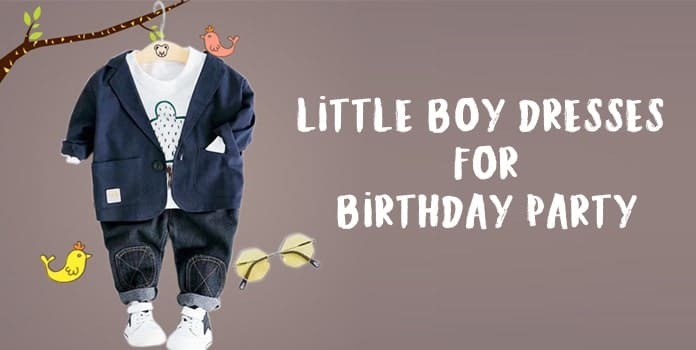 A seamless blend of style with fashion, comfort with creativity, these kids party dresses online make the most promising wear on birthdays for boys. Be it a birthday party or a wedding celebration, boys suits make a perfect pick. 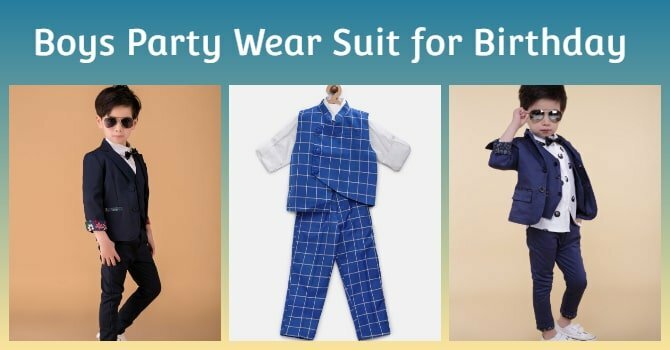 Dress them up in a combination of 4 piece formal suit for boys with a pair of pants, waistcoat and cap in plaids matched with a crispy white shirt to give your little one a dapper look. 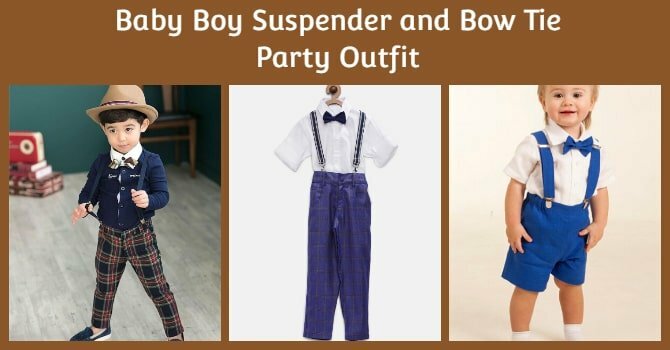 A jazzy baby boy suspender outfit comprising of a pair of plaid pants, cap and bowtie matched with white shirt and suspenders to ensure best of comfort and fitting as they play and run around. 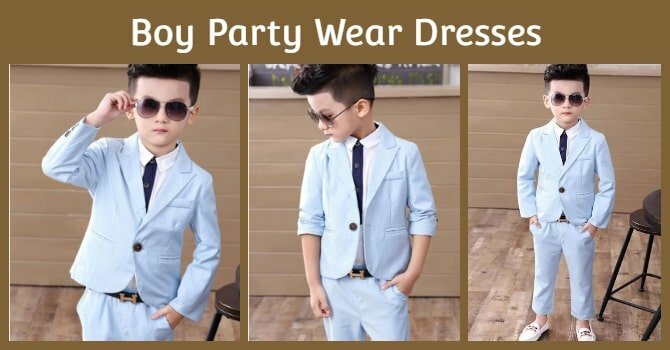 This format party outfit for kids makes an elegant baby boy birthday dress to gift him on his special day. Pair any shirt and trouser with party blazers for a gentleman like makeover for your little prince. 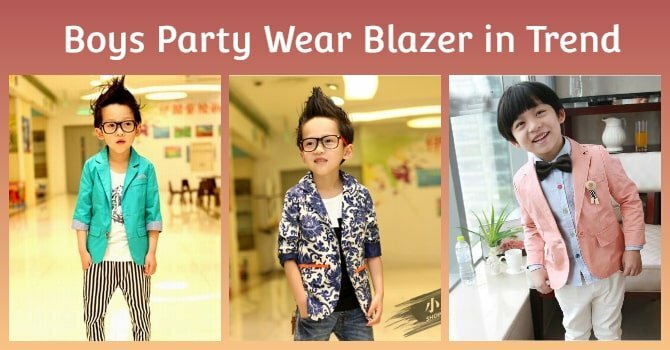 Select from the trendy collection of kids party wear blazers that are designed to create a top-notch look for your Prince Charming. These boys occasion wear add a classy touch to their personality. Casual, yet classy, the dapper blazers make a distinguished addition to your baby boy’s look on his birthday. 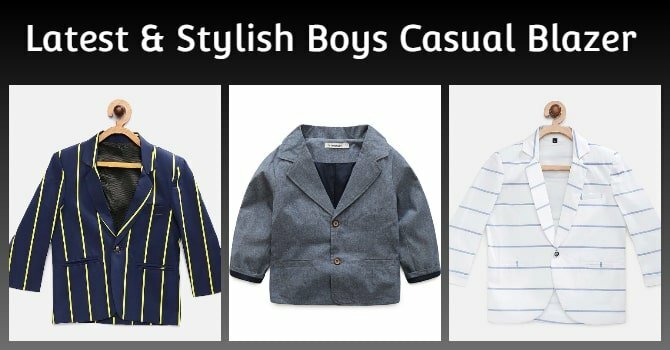 Created in different patterns, prints and colours, these kids casual blazers are the best choice when you are looking for something exquisite and fashionable to present them on their birthday. Be it a pair of jeans or shorts, pants or trousers, a good party shirt is what you need for his birthday look. 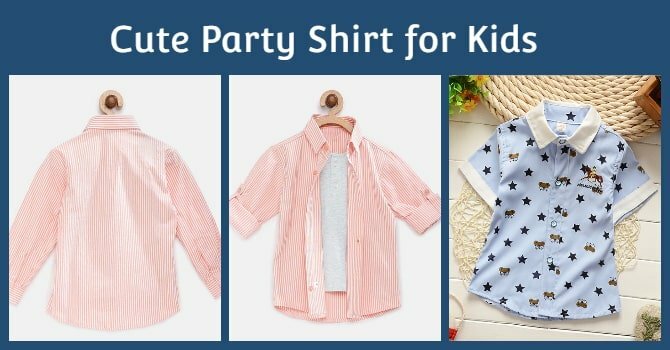 Innovative prints and unique patterns make these cute party wear shirts for kids such a fun clothing for baby boys. With these party shirts, you can make their birthdays more colourful. 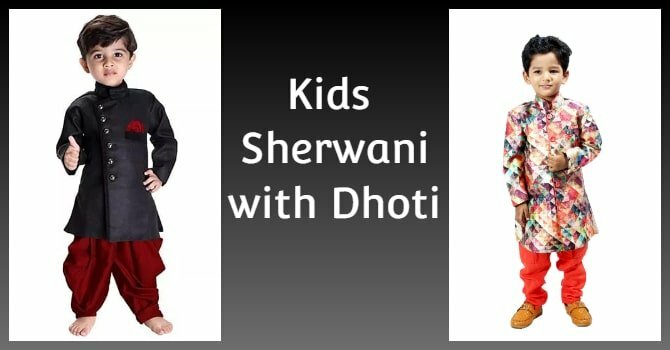 Keep it ethnic and Indian with intricately designed kids sherwani with dhoti. Not just for birthdays but these traditional outfits for baby boys also grace festive occasions in an attractive way. They adorn first birthday celebrations with a traditional touch. First birthday is very special and so is the outfit for the occasion. 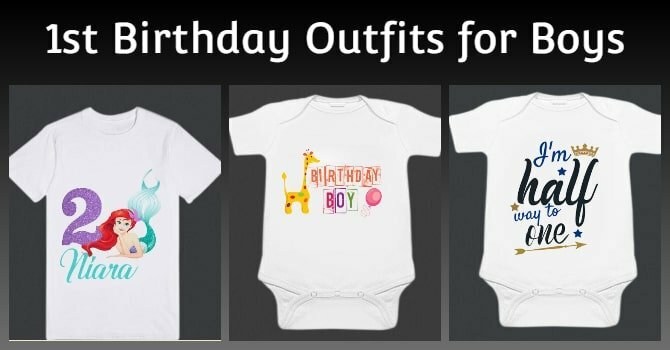 Select from the finest first birthday outfits for boys ranging from customized t-shirts and onesies to personalized rompers and cake smash sets and birthday ties. There is everything you would need to spruce his look for his first milestone. Shoes are what define a man and shinny party shoes for boy truly make a statement. 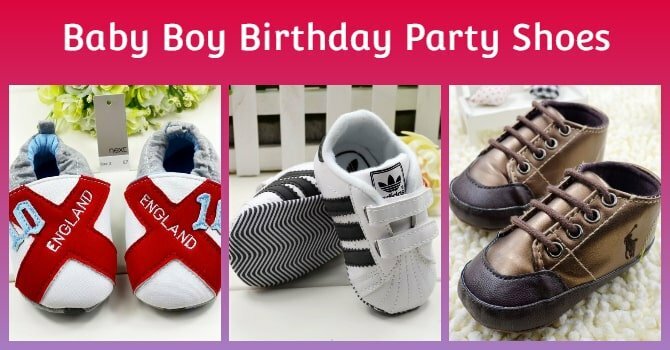 Creatively designed boy party wear shoes that complement their party outfits are a must addition. Pick the perfectly fitting shoes for your little darling. 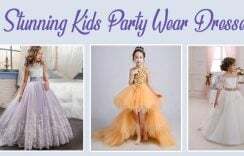 With these wonderful choices of kids party wear dresses, you are all set to give him a unique look on his birthday.